Maintaining regular oil changes is crucial to keep your vehicle running. Having the most convenient hours around, our Fredericksburg location is here to service your vehicle when it best fits in your schedule. Our KIA service center in Fredericksburg knows that continuing to get regular oil changes helps your car function properly. Clean oil also acts to clean, cool, coat, and protect your engine’s myriad moving parts. While the duration between oil changes will vary depending on your vehicle, the type of oil, and the driving conditions you encounter, most experts agree that you should change the oil and filter every 3,000 to 5,000 miles; check your owner’s manual for your manufacturer’s recommendation. 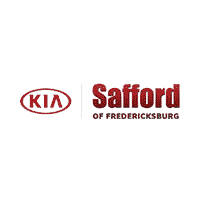 Here at Safford Kia of Fredericksburg we are known for our dependable service to KIA drivers in Fredericksburg for years. With factory trained service technicians we are here for all of your KIA service needs . If you have no memory of your last oil change, then you might be overdue! Before you add any more miles to the odometer, be sure to call our KIA service technicians at (540) 208-3488 to schedule a quick and easy oil change today! Excellent service!!!! I got there without having an appointment and they helped me right away.. Justin make a great job!! I recently moved to Stafford. I read the reviews for Safford Kia. Now I see why they got such great reviews. We arrived early for our appointment and they took our car right back. They have a very comfortable waiting area with fresh coffee and donuts. Justin gave us excellent service. Plus they didn't try to rip us off like some dealerships have before. I highly recommend them if you're looking for a great place to take your car for service. Adam Marlowe was an Amazing Salesman, I purchased my 2019 Kia Optima over the phone. Adam text me back a few hours later and told me to come get my car! Everyone was so nice and accommodating. The finance office was very informative. It was over all a great experience!